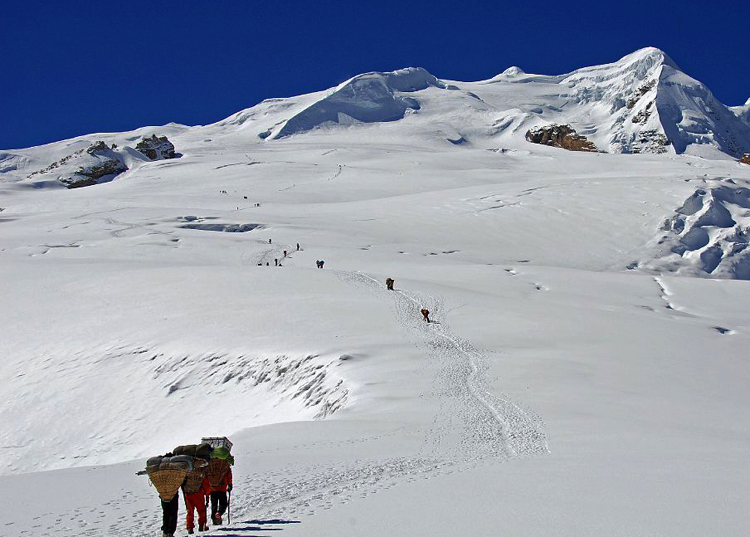 Tukuche peak (6920m/22,703ft) is one of the highest 6000m climbing objectives in the Himalaya. It is a very picturesque and almost symmetrical 2 ridge pyramid with Northwest Southeast ridges radiating from the summit. The obvious and safe climb is along the Northwest ridge, which is the most frequently climbed route as it presents very low objective danger. 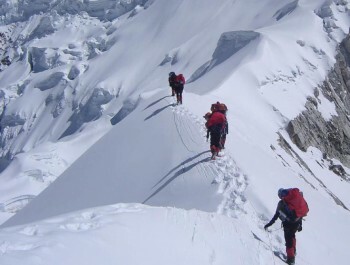 Although the ridge itself is not steep it is considered a technical climb and with the elevation close to 7000m there is the need to acclimatize, the elevation exposes climbers to cold and windy weather conditions. 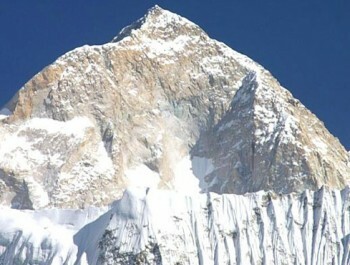 According to the climbing difficulty scale Tukuche peak counts as a 7000m expedition and categories as amoderate climb (PD++)this peak was first climbed by Hugh Merrick in 1969. 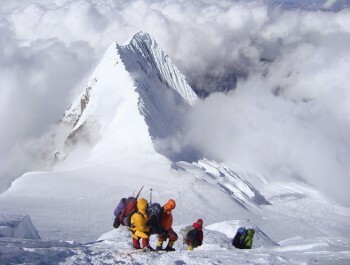 The team took almost 4 years to prepareand select this unclimbed peak. 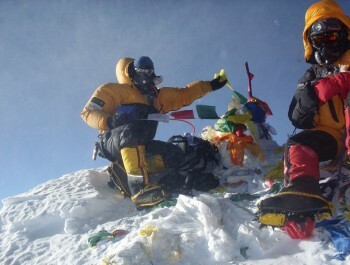 The first group had summited the peak in spring (April, May) but autumn (October, November) is also suitable weather and a good time for peak climbing. Tukuche peak (6920m/22,703ft.) 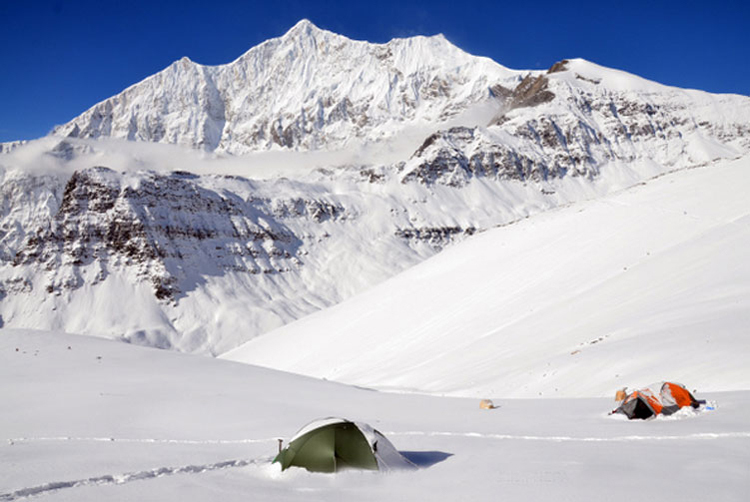 is located in the Dhaulgiri region 10km Northeast of Dhaulagiri I. Tukuche advanced base camp is located at (5100m/16,732ft) and from the North Ridge climb is located in the Hidden Valley midway between the French and Dhampus passes. 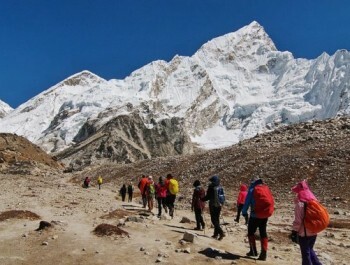 The standard 9 days access trek to the Base Camp follows a classic section of Jomsom trekking and Kali Gangaki Valley to Maphra or Dhaulagiri Base Camp Trek via Yak Kharka allowing a solid acclimatization. Return trek from the Base Camp to Jomsom takes only 2 days followed by a 20min flight to Pokhara. 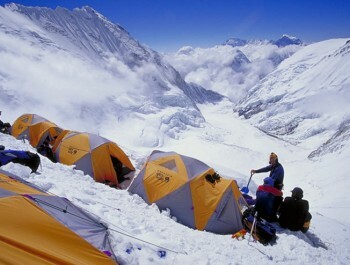 This 6000m peak has some of the best views that the Himalaya can offer. From the summit you can see the Dhaulagiri and Annapurna regions along with the massive 6000m, 7000m and 8000m peaks that encompass the regions including: Dhaulagiri I (8167m), Dhaulagiri II (7751m), Dhaulagiri III (7715m), Dhaulagiri V (7618m), Annapurna I (8091m), Annapurna South (7219m), Bhartha Chuli (6839m), Nilgiri North (7061m) and many more. 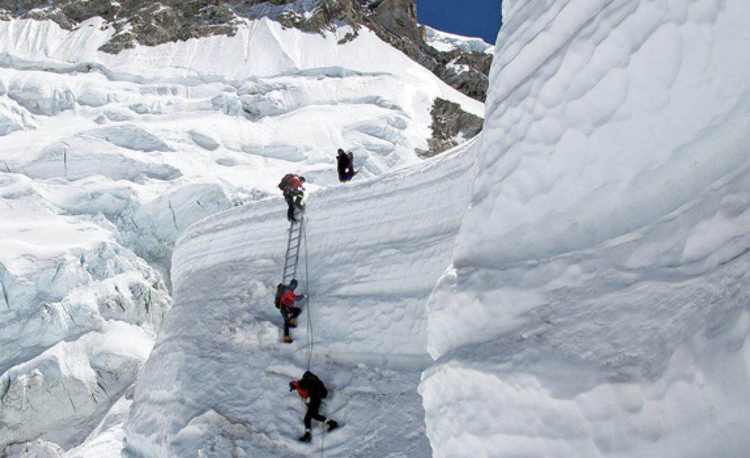 Nepal New Generation Trek climbing Sherpa guides will fixed camp I 5600m(18,372ft), camp II 6200m(20,341ft) for better acclimatization and preparation for the climbers. 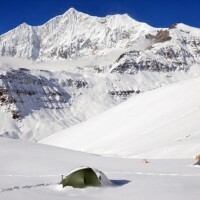 When you arrive at base camp our staff will set up the camp and you will have time to rest and continue to acclimatize. 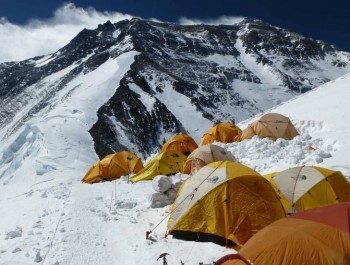 Upon completing a Pooja ceremony at base camp, our team of Sherpa’s will begin to open the route to camp I. When this is completed, our guides will begin to take clients and loads to camp I. 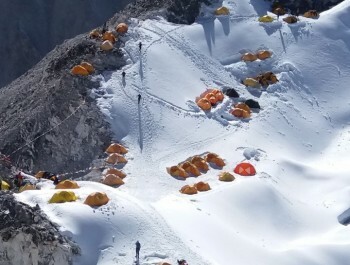 Depending on your physical fitness and your bodies’ reaction to altitude, you may stay at camp I for a second night, or move up to camp II and then descend back to base camp. Our team will then open the route and fix the lines to camp II and supply the camp with gear, equipment and food. If required for acclimation and if the weather conditions allow, you may sleep a second night at camp II. 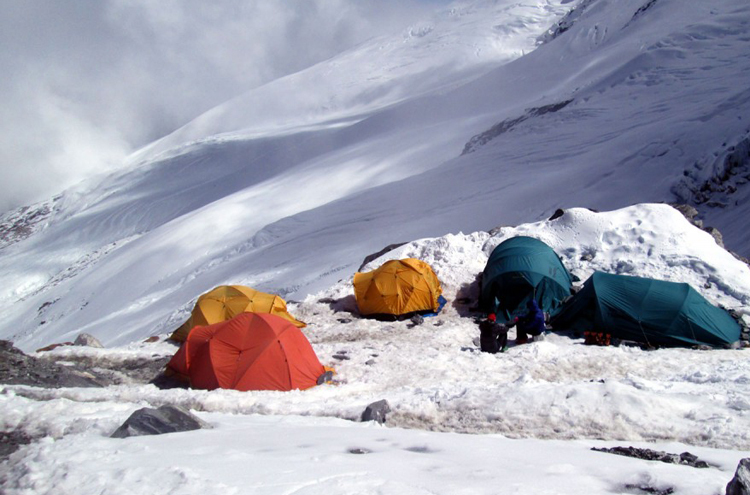 During your rest and time at base camp our team will continue to open the route and prepare for the summit push. After your camp I and II acclimatization, our climbing guides will check the weather forecast, group fitness and recovery conditions. 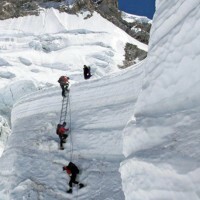 If upcoming weather reports, your physical fitness and conditions are good, we will begin the summit push. 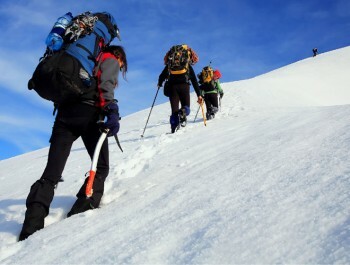 On the summit push, you will move to camp I and then camp II before moving to the summit. At camp II you will awake at 3:00am to begin your summit push. High peaks may be climbed for many reasons: for national prestige, to enhance ones career, or the pure love of adventure. But himalayan expeditions are always a success if at the end of a successful campaign one can say as Henry Hoek did “The journey was our real objective. /Day 02:Preparation, briefings, last minute shopping and permit formalities. Day 03:Drive from Kathmandu to Pokhara (950m/3,116ft) 6hrs.Lodge accommodation. Day 04:Trek or Drive from Pokhara to Tatopani (1110m/3,641ft) 5 hrs.Lodge accommodation. Day 05:Drive from from Tatopani and Marpha (2670m/8,760ft) 4 hrs. Lodge accommodation. Day 07:Trek from Marpha to Yak Kharka(4500/14764ft) 5hrs.Camping accommodation. 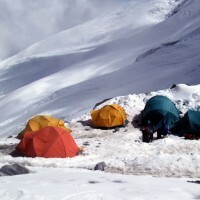 Day 08:Trek from Yak Kharka to Tukuche base camp (Hidden Valley)(5200m/17,060ft) 5hrs.Camping accommodation. 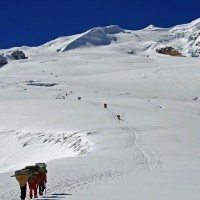 Day 24:Trek from Tukuche base camp (5200m/17,060ft) to Yak kharka (4500m/14764ft) 5hrs. Camping accommodation. Day 25:Trek from Yak kharka (4500m/14,764ft) to Marpha(2670m/8,760ft) 5hrs.Then drive to Tatopani(1160m/3,805ft). Lodge accommodation. Day 26:Drive from Tatopani to Pokhara (915m/3002ft) 5 hrs. Day 27:Drive from Pokhara to Kathmandu. 7 hrs by tourist bus or 25 mins by flight. Overnight at hotel. Farewell dinner with cultural program in the evening. Day 28:After having Breakfast, Drop to airport for final departure.